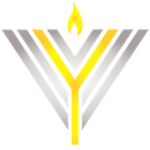 If you have never been to a Yonkers Chabad service, allow yourself the opportunity to visit because you are in for a treat. Join us for our casual, joyous, and traditional Shabbat morning rituals. Our services are intended for the community to feel at home, and they include English/Hebrew prayer books, various English readings and poems as well as explanations of aspects of the service including the weekly Torah reading. The songs and commentary add meaning to the sense of the family and vibrant and growing community we are a part of. All are welcome to drop in for all or part of the services, and to join in for communal prayers, singing, and socializing all at your own time, pace and level of inclination. We are certain that you will find something that will speak to your mind, your heart and your soul. By becoming an active participant at Chabad of Yonkers, you will acquire lifelong friendships, an opportunity for spiritual growth, and most importantly a chance to be a part of your Yonkers Jewish Synagogue community.